One risk when you are listening to Doom is that you will only pay attention to the late Koh Morota’s crazy, but always serviceable work on the fretless bass. Especially when he is put front and center in the mix like he was on the ‘Killing Fields’ EP. However, Doom is a power trio in the truest sense of the word. The magic of this band happens within their intricate, but always spontaneous interaction, something highly uncommon amongst thrash metal bands, but also a defining factor of the middle section in just about every track on their masterpiece ‘Complicated Mind’. Structurally, most of Doom’s songs follow a similar pattern. They are bookended by tightly composed thrash riffs, only to turn into a contrasting instrumental section in the middle. The riffing has a futuristic feel, but manages to steer clear of the clinical nature of Voivod’s riffs, a band Doom is often compared to outside of their native Japan. And those middle sections really turn Doom into something special, as they could be anything from bluesy hardrock (the title track) to an atmospheric break (‘Bright Light’) or what can almost be considered a loud and distorted take on freejazz (‘Fall, Rise And…’). While all of this may sound abstract, it is actually surprising how listenable ‘Complicated Mind’ is. Morota, singer/guitarist Takashi Fujita and drummer Jyoichi Hirokawa are not trying to be clever, they just play what came to their minds and apparently, their minds are wired a little differently than those of most people. The strangest track here is probably ‘Can’t Break My… Without You’ – verses: start-stop riffing with a melodic bass line, middle section: clean guitar break – but Hirokawa’s steady, almost danceable rhythms keep the song grounded and easily digestible. 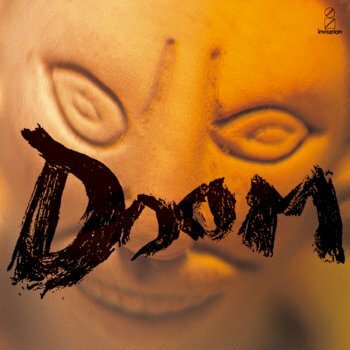 Doom’s secret appears to be to feel the music rather than to overthink it. As a result, ‘Complicated Mind’ does not feel like college material. Banging your head to the pounding rhythms and dissonant chords of the title track is easy, while ‘Painted Face’, ‘Bright Light’ and ‘Slave Of Heaven’ are simply excellent, inventive metal tracks. The way Fujita’s straightforward riff and Morota’s busy parts are woven into each other on the latter is nothing short of art, as is the open, almost alt-rocky solo section. ‘The Boys Dog’ features Fujita narrating a story about what appears to sincerely be his childhood dog over some great riffing, which works out much better than it may sound like it would. Everyone who enjoyed Voivod and Coroner should definitely give Doom a spin, though the more adventurous fans of the likes of Rush may actually find something of their liking here as well. Sure, Fujita’s vocals are quite monotonous, but they are convincing and strategically placed within the songs. While Doom would become even more progressive or even avant-garde in later years, ‘Complicated Mind’ features the trio at their very best, combining the blunt force of their early work with the thinking man’s intricacy of some of the following albums. And while some moments may feel downright odd initially, those with a similarly complicated mind will get it soon enough. 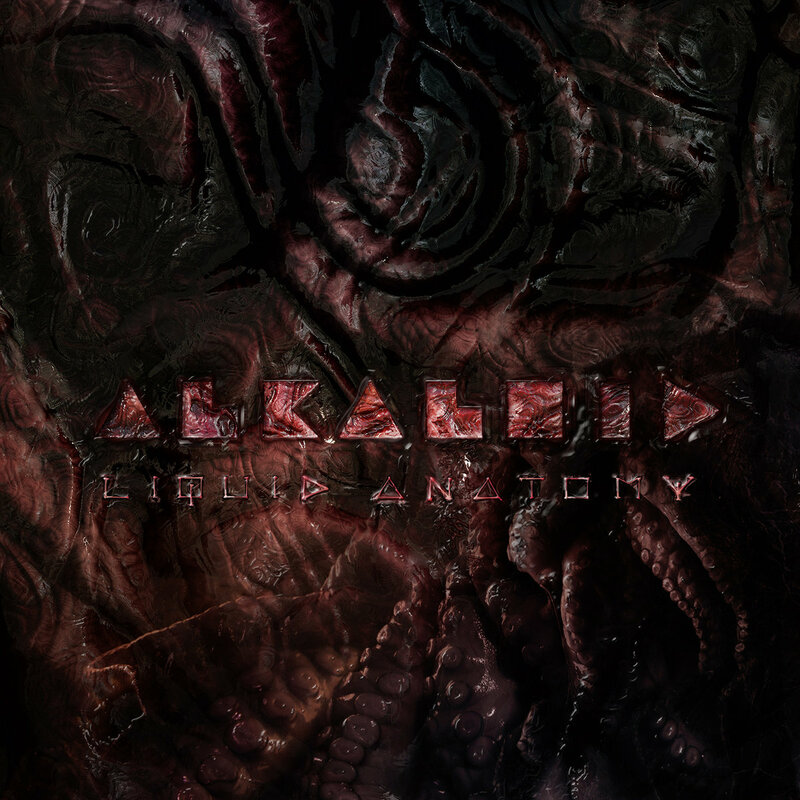 Heavy, dark, but without forsaking their trademark streamlined melodicism. How they do it is a mystery to me, but Onmyo-za manages to upgrade the formula of their already impressive latter day sound on ‘Hado Myoo’ without the help of a potentially alienating stylistic shift. Despite its fairly heavy use of seven string guitars, its predecessor ‘Karyo-Binga’ had its lighter moments. ‘Hado Myoo’ has not, except for maybe the relatively accessible first single ‘Oka Ninpocho’. And that is a great thing, as this powerful, relatively riff-driven monster of an album truly confirms Onmyo-za’s relevance in the year before its twentieth anniversary. Being quite a short album by Onmyo-za standards, ‘Hado Myoo’ wastes no time setting the scene and drags the listener into an unsettling, yokai-infested underworld by means of its massive opening track ‘Hao’. The song truly plays to all of the band’s strengths, with especially the contrast between the crushing sections sung by bassist and bandleader Matatabi and the more melancholic introspection of the parts lead by his wife Kuroneko being nothing short of genius. ‘Hao’ is more than a mind-blowing opener though. It is a warning that ‘Hado Myoo’ is not going to be for the faint of heart and it delivers on that promise. ‘Shimobe’ follows a similar structure, albeit on a higher tempo, with its fierce riffing unveiling a distinct melodic death metal influence. The 7/8 intro is vicious and it is quite remarkable how many new things happen in the latter three minutes of the song. Easily the heaviest Onmyo-za song in quite some time. But while the aforementioned songs are peaks in intensity, ‘Hado Myoo’ does not let go until it is over. The songs vary in heaviness – ‘Haja no Fuin’ brings some of that delicious NWOBHM-inspired twin riffing to the fore, while ‘Ippondara’ is a grinding midtempo stomper with a cool bass solo – but none of them will be relegated to background music. Fortunately. Elsewhere, ‘Tesso No Aza’ teaches many European and American bands a lesson or two on how to do epic heavy metal and ‘Oka Ninpocho’ and ‘Fushoko No O’ feature some tasteful Japanese folk elements as part of their arrangements. ‘Izuna Otoshi’ and ‘Itsumade’ are the typical melodic heavy metal we have come to expect from Onmyo-za, though the latter does feature some borderline thrash riffs. Even the closing track is very powerful. Onmyo-za usually reserves that spot for lighter, upbeat rock tracks, but while ‘Bureiko’ does have a more “rocky” feel than the rest of the album, it is still very much rooted in pounding riff work. As far as my expectations for ‘Hado Myoo’ went, this was not what I was expecting. 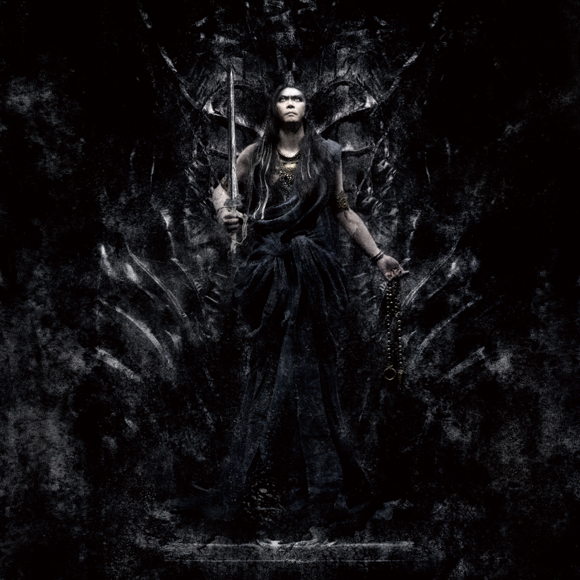 Not many metal bands can say that their fourteenth album is one of their heaviest thus far, but Onmyo-za can proudly declare that. It never sounds forced, however. ‘Hado Myoo’ is clearly the work of a band doing something they feel comfortable doing. It is a sonic triumph as well, with the guitars of Maneki and Karukan having the perfect amount of grit and Matatabi’s bass rumbling underneath slightly more prominently than usual. Yours truly for one was stunned and unless you listen to Onmyo-za for their ballads – there aren’t any – most of their fans will too. When I was a kid, Garbage was one of the few modern rock bands on MTV that would not cause me to immediately change the channel. They intrigued me. That was in part because of Shirley Manson’s voice and – I reluctantly admit – appearance, but their music was undeniably atmospheric and unlike anything ever done before or since. It was still modern rock, but it was not as bluntly unmelodic as the nu metal bands that were big at the time, nor was it as self-pitying as American radio rock. And despite the strong productional focus, the songwriting is simply excellent. More than twenty years later, Garbage’s self-titled debut still holds up. That in itself is a testament to the band’s compositional brilliance. Often in music history, embracing new technology dates a production considerably. Garbage’s practice of incorporating electronic beats and synthetic sounds into the foundation of a rock band still sounds fresh and, surprisingly, in no way dated. This approach combines the best elements of densely layered productions and a live band and the results are often hypnotizing. But it’s not a trick; even the relatively straightforward songs that would have worked with just the band playing still sound convincing. In the latter category, we find the insanely memorable and borderline self-parody ‘Only Happy When It Rains’. The chord progression is simple, but not predictable, especially with its insistent chorus providing a perfect contrast to its more morose verses. ‘Dog New Tricks’ is another strong electrorocker with a great chorus and a focus on guitars and drums. A majority of the other more straightforward songs are a little more laid-back, including the massive hit singles ‘Stupid Girl’ and ‘Queer’. This approach really suits Manson’s voice, which sounds seductive when it has to, but also occasionally excels in brilliantly suppressed anger. At other times, ‘Garbage’ proves that spending a lot of time on your production does not necessarily result in overproduction. The darkly brooding ‘As Heaven Is Wide’ probably illustrates this best. Its combination of tribal rhythms, fuzzy bass line and electronically tinged bridge should not work in a rock context, but it does. It is also the best example of Manson’s subdued aggression. The more intimate ‘A Stroke Of Luck’ is less propulsive, but just about as good. It has also been provided a perfect juxtaposition in the shape of the more outspokenly aggressive rocker ‘Vow’, one of the brightest shining gems on ‘Garbage’. Confusingly, ‘Garbage’ is as much a product of its time as it is timeless. An album like this more or less could only have been thought up in the ninteties, but it was so far ahead of its time that it will probably still sound contemporary ten years from now. That in itself is something that not many artists can claim and will become rarer as more and more musical territory is no longer uncharted. 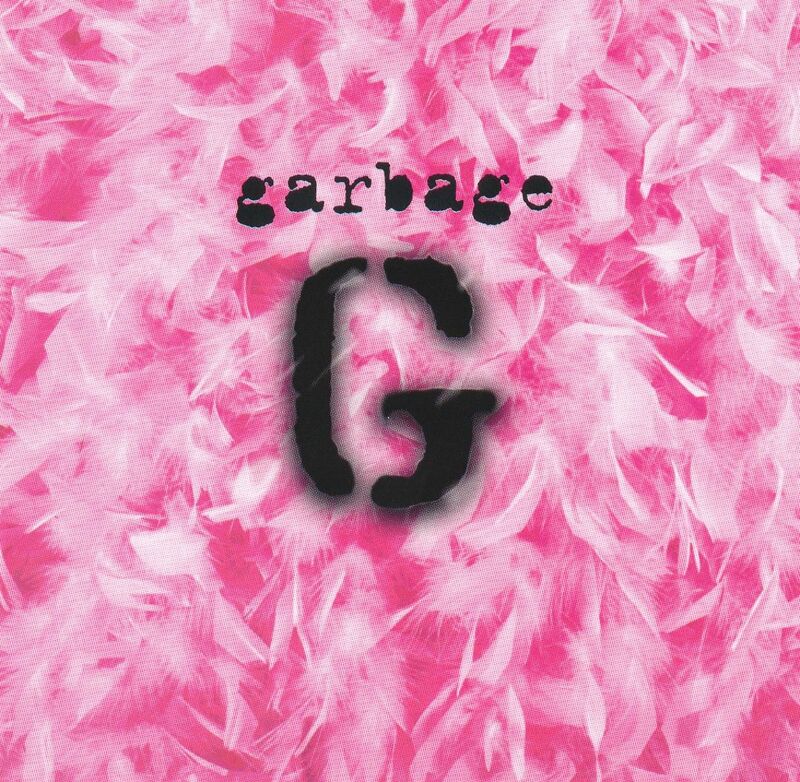 For Garbage, their debut album was so revolutionary, that they had a hard time trying to equal it both in terms of success and overall quality, though they came close several times and are fortunately still artistically relevant to this day.